With the exclusive Apple event – 'It's Show Time' as the invites, say – set for Monday March 25, you could be forgiven for thinking the US company would be keeping shtum this week. However, Apple has taken the exact opposite approach – taking the wraps off an updated iPad Mini, all-new iPad Air range, refreshed 21.5-inch and 27-inch iMac and the feverishly-anticipated second-generation Apple AirPods with a wireless charging case. The latter was long-rumoured to launch alongside the AirPower wireless charging mat, which was first unveiled at the iPhone X launch event in September 2017. 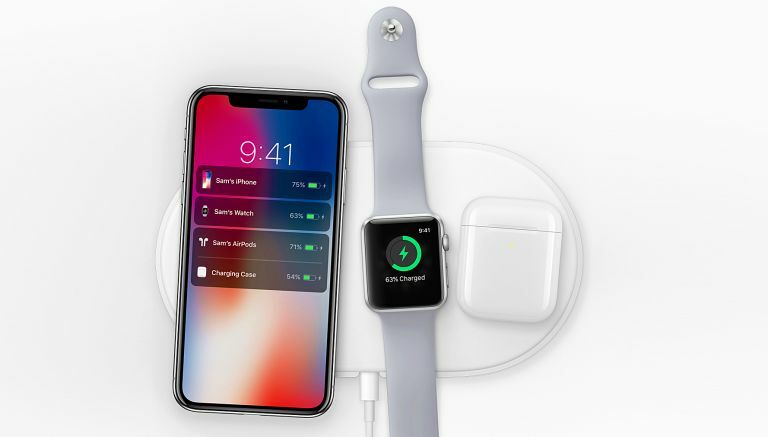 The accessory, designed to wirelessly charge an iPhone, Apple Watch and Apple AirPods simultaneously, was pushed back from its original early 2018 launch date amidst whispers of problems with overheating – with no word on when we can expect to see the next-generation Qi compatible charger. However, that could all change today. Developers have already uncovered a number of references to the AirPower accessory in the latest beta for iOS 12.2, which is scheduled to roll-out to iPhone, iPod and iPad owners worldwide later this month. Laying the groundwork in the next iOS update suggests Apple hopes to launch its new charger soon rather than later. Given the pattern that it has established this week, it seems very unlikely that we'll see the AirPower accessory – or any hardware at all – unveiled on-stage by Tim Cook and co. during the event due to the held in the Steve Jobs Theatre next week. Following the announcement of the AirPods 2 and the optional wireless charging case (which can be used with first-generation AirPods to enable charging on Qi-compatible wireless chargers – like the AirPower) the Wall Street Journal published a new report about the long-awaited pad. According to the publication, Apple approved mass production of its AirPower charger earlier this year. "Apple typically announces new products within months of beginning production," it adds, hinting that we can expect to see the accessory hit shelves very soon. This tallies with an earlier report from oft-reliable analyst Ming-Chi Kuo who suggested AirPower would launch in the first half of 2019 alongside new AirPods – like those announced today – but stopped short of speculating on an exact release date. Kuo also expects a refreshed iPod Touch with faster internals and Face ID to debut in the "first half of 2019", although there's no sign of this one so far this week.